If it interests you to get to know the history of Peru and her civilization, we invite you to discover Caral. The city of Caral was constructed by one of the most important civilizations on the planet, created by the organized work of its people in a territory of contrasting geographical configurations. Many know Cusco as the capital of the Incan Empire and Machu Pichu as the property of one of the last Incas; but few know that the Sacred City of Caral was built by the first political state that was ever established in Peru 4,400 years before the sovereignty of the Incas. This city will surprise you with its historical value and with the architectural detail it possesses. In Peru, the forms of economic, social, and political organization of the Caral-Supe peoples had a strong impact on the history of the region; they transcended space and time, and established the foundations of the sociopolitical system for the people of the Central Andes. 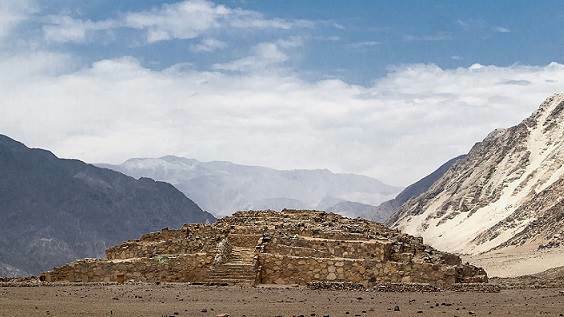 This sacred city, located only 3 hours to the north of Lima in the Supe valley, has been maintained for more than 5,000 years and was declared by UNESCO as Cultural Patrimony of Humanity because it was in Caral where the oldest civilization in the Americas developed. You will observe circular and pyramidal constructions from the old civilization and, at the same time, you will discover the tranquility of this place. In order to get to Caral from Lima, we recommend that you rent a vehicle. You will have to travel on the North Panamerican Highway until you are 84 kilometera from the city of Supe. Then travel 23 kilometeres toward the left margin, and you will see a sign indicating the road toward the Oldest City in the Americas. 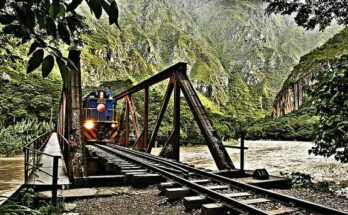 For the most adventuruous and independent tourists, you will have the option of bus services which go north, until you arrive at Supe village which is located on the 187th kilometer of the North Panamerican Highway. You will have to get off the bus at the Supe Market, where you can find a taxi to take you to central Caral. When you arrive in town, you will find tour guide services affiliated with Local Tourist Information. We recommend that you dress lightly, with sneakers, and to bring along ample liquids. And should you go on the weekend, keep in mind that the people of the valley offer local food products. One of the most well-known activities in Caral is cycling – you can travel across the desert to Caral and even go to the archeological center. Hotel Centenaro in Huacho , includes continental breakfast. Hotel Chavin in Barranca . If you are looking for adventure and wish to learn about the history of Peru, we definitely recommend that you add the City of Caral to your trip. 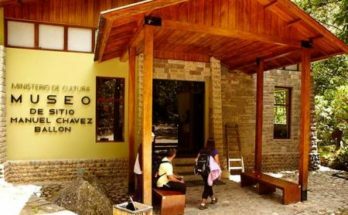 Machu Picchu Museum: Worth a Visit? When is the Best Time to Visit Machu Picchu? - Pintor de pisos en Cordoba. Profesional reformas. 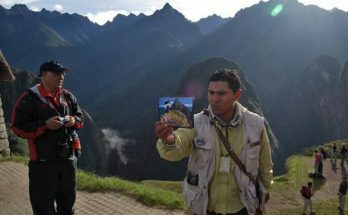 Copyright © 2019 Peru Vacations Guide and Tours about Peru.